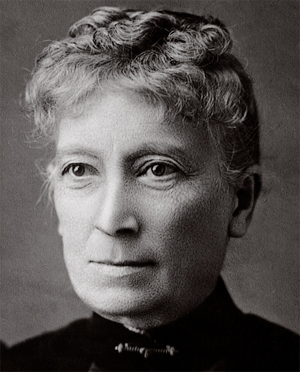 Mary Fletcher Scranton, the founder of the Ewha Hakdang. The Ewha Hakdang later develops into several educational institutions of Ewha. A special yearlong exhibition will be held by the Ewha Archives to commemorate 100th anniversary of Mary Fletcher Scranton’s death by the Ewha Archives starting from May 18. The exhibition is titled “Special Exhibition--Mary F. Scranton, the Founder of Ewha.” The exhibition will feature themes and topics, which will vary from time to time, showing the life and the vision of Mary Scranton. Scranton was the founder of the Ewha Hakdang, which later developed into Ewha Womans University Elementary School, the Demonstration Middle School College of Ewha Womans University, Ewha-Keumran High School, Ewha Girls’ High School, and ultimately Ewha Womans University. Scranton’s decision to come to Korea as a missionary was motivated by Dr. J.F. Coucher. Coucher met Min Young-ik, a Korean diplomat who went to Washington D.C. in 1883. After meeting Min, Coucher decided to come to Korea as a missionary and asked if Dr. R.S. Maclay, the representative of the American Methodist church in Japan, would also with him. When Coucher and Maclay received acceptance from Emperor Gojong in 1884, Maclay returned to Japan and requested other missionaries be sent to Korea by American Methodist churches, which then sent the Appenzeller family and the Scranton family. Born in 1832, in Belchertown, Massachusetts, Scranton took her first steps in Korea in January, 1885. 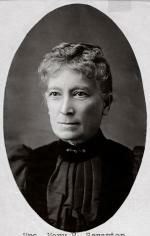 She came to Korea with her son, William Scranton, who served as a doctor with the aid of his wife. According to the book Scranton: Enlightening the education of Modern Korean Women, by President Lee Bae-yong and Lee Hyun-jin, when Scranton arrived in Seoul, most Koreans, who had rarely seen foreigners before, were afraid of even saying hello to her. Rumors had been swirling that foreigners built schools for children in order to eat the youngsters or kill them and use their body parts as components for their camera lenses. As soon as Scranton came to Korea, she looked for ways to help Koreans. Scranton founded Ewha to give equal educational rights to underprivileged Korean women. She continued to educate Korean women, nurturing the first female doctor in Korea, Esther Park and others. Scranton went back to the U.S. after passing administration of the Ewha Hakdang to the next principal, Louisa Christina Rothweiler. However, she came back to Korea to further help those in need until she passed away on October 1909. Scranton was buried in Yanghwajin cemetary. The exhibition that the Ewha Archives is planning to hold will have a variety of themes to reflect the life of Scranton which she spent in Korea. The exhibition is scheduled to launch off on May 18, and will continue for one year in the special exhibition room at the Ewha Archives, open from 9:30 to 4:30 on weekdays and 9:30 to 12:00 on Saturdays.